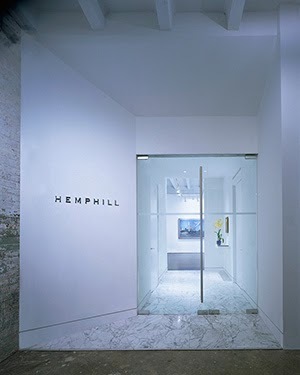 Congratulations to Hemphill, who this year celebrates its 20th anniversary - in gallery years this is like being 100! 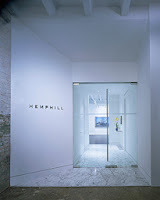 You can't even imagine the hard work involved in achieving and surviving as a respected art gallery in this town for 20 years. Due to the Government shutdown, we are unable to offer this website service at this time. We will resume normal operations when the government is funded. Debido al cierre del gobierno no podemos ofrecer este servicio telefónico en este momento. Nosotros reanudaremos el funcionamiento normal cuando el gobierno este fianciado. From the Google uses, I think "fianciado" is a Portuguese word, although most Google references are now just simply people referencing the DO NOT CALL registry and making fun of a vindictive government that shuts down websites that run (or at least should run) on automatic. Due to the closing of the government [missing comma] we can't offer this telephonic service at this moment. We will renew normal functioning when the government is "fianciado"
For a PDF flyer, the application form, and all instructions on how to apply, visit this website: www.VMFA.museum/Fellowships.